Many of our Jewish ancestors imigrated to the United States from Eastern Europe and settled in the Duluth, Superior, the Iron Range and the surrounding areas of Northern Minnesota, Northern Wisconsin and Upper Michigan. They came in the late 1800s and early 1900s. This family website is about our family, our huge extended family and about many of the other Jews who settled and lived in this region. This page is specifically about the Jews of Virginia, Minnesota. Some of our family names that have been associated with Virginia are as follows: Siegel, Walt, Soloski, Milavetz, Goodman, Garon, Kaner, Kenner, Deutsch, Schibel, Simon, Karon, Cohn, Levant. A 2007 video tells a story about growing up Jewish in Virginia between the mid 1920's and the early 1940's. 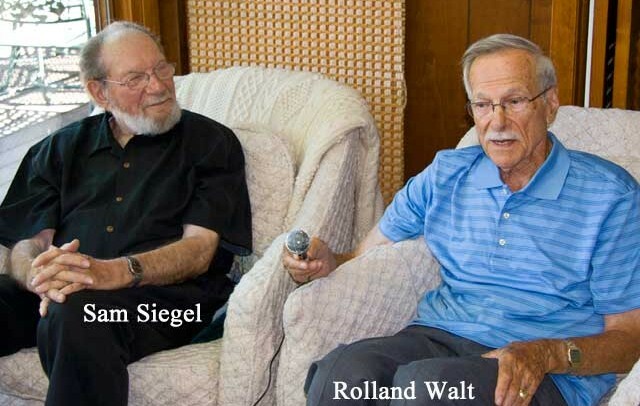 The video features the recollections of Sam Siegel and Rolland Walt. Click here to see the video on the Friends of B'Nai Abraham website. This 2014 video shows Irving Frisch reminiscing about his youth and immigration to the US and Virginia. It was published on Jun 1, 2014 and submitted to YouTube by Joshua Efron. It was brought to the attention of this website by Jack Siegel. To see the video on YouTube, click here. 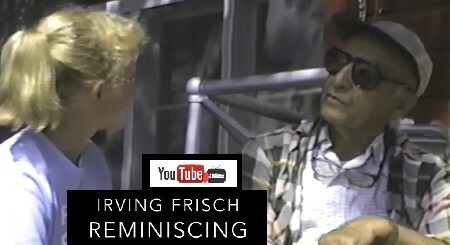 According to Jack, "Here is a WONDERFUL film about Irving Frisch all about his family! Irving was my Hebrew Teacher and as you know had the grocery store in Virginia and also in later years also was the Rabbi in Virginia! He was the greatest guy."